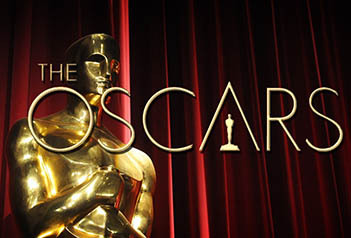 Latest news: the 88th Academy Awards held on Feb. 28, 2016. Surprisingly, Leonardo DiCaprio won the Academy Award for Best Actor for The Revenant and 2015 action movie - Mad Max: Fury Road won 6 Academy Awards for Best Costume Design, Best Film Editing and more. What a bonus to all movie fans, there are dozens of Oscars movies worth your attention and download for playing. Following post will show you how to free download 2016 Oscars awarded movies, videos, live shows. ✔ Download online videos from Nico, Google, MetaCafe, Facebook, YouTube and etc. Step 1. Run this Free Oscar Movie Downloader. Step 2: Add video urls and start downloading the 2016 Oscar movies. Go to YouTube site and search for the 2016 Oscar award movies your would like to download. Copy the YouTube video download link from YouTube webpage. Click on the Add URLs button, then a dialog will pop up, just click icon, and paste the download link to it. You can continue to paste more YouTube video links as the previous steps. Then Press Start Download! 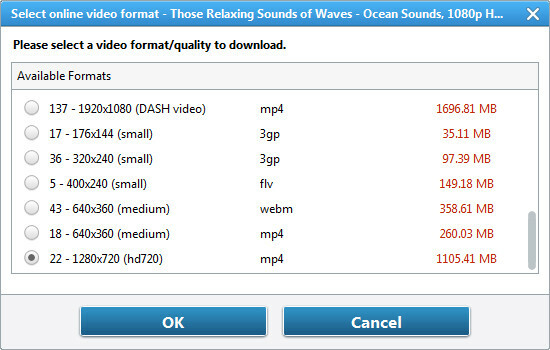 button and choose video download format. Then, click "OK" to start downloading these HD videos. Step 3. Find downloaded Oscar movies. Show the file management panel and click the profile in the left panel, then right-click the Downloaded file, click Open Destination File Location from the pop-out menu. Now, you can find the Oscar movies downloaded from YouTube. Just free download this 2016 Oscar Movies Downloader Freeware!